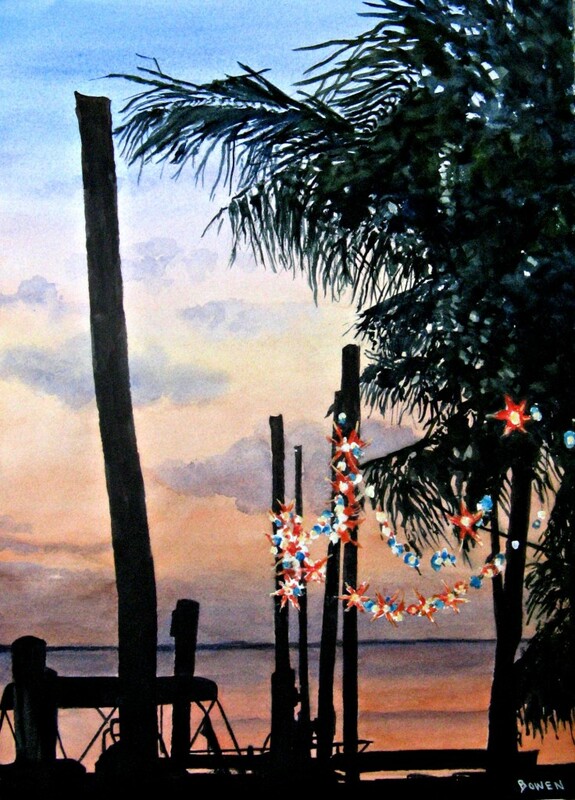 The Coral Springs Museum of Art will feature a SOLO Exhibition by watercolorist John Bowen. The Exhibit runs September 12th -November 14th, with a Public Reception on Thursday, September 17th. John is also an award – winning author and illustrator. 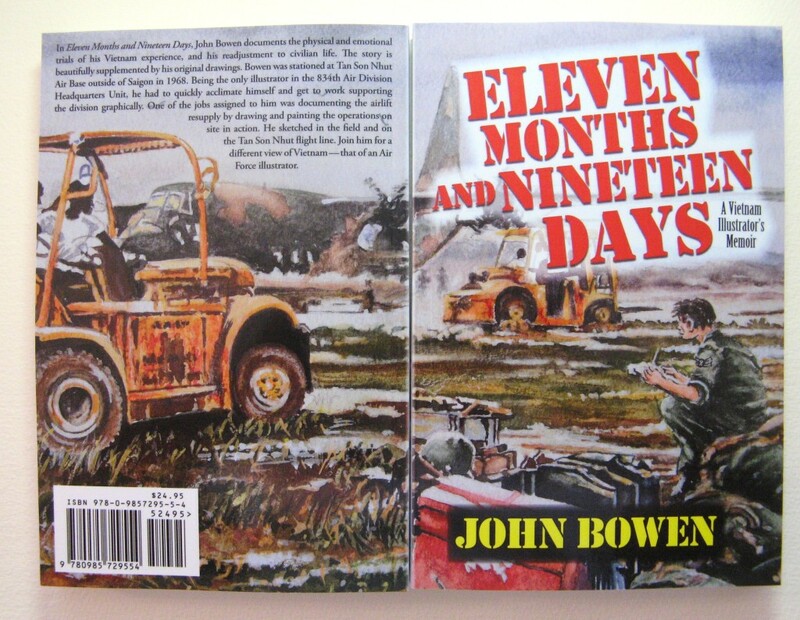 He will also be presenting a Book Talk on his illustrated book “Eleven Months and Nineteen Days”, at the Museum on October 24th at 2pm and later at the Traveling Vietnam Memorial Wall will be at the Sportsplex at 6:30 pm. The Traveling Wall will be at the Sportsplex from October 22nd – 26th with daily ceremonies honoring Vietnam Veterans. 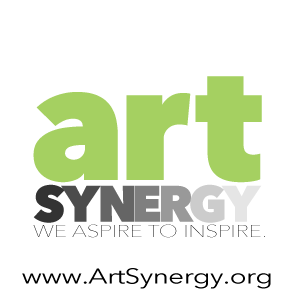 If you are near Colonial Williamsburg,VA Oct. 3 – 4th stop by and see John at the Art Show! The Rickie Report shares some sneak peeks and all of the details. Hours: Monday – Saturday 10 am – 5 pm. John Bowen describes his work as “realistic expressionism”. His art is created by capturing a mood, striving to tell a story, intrigued by history, landscapes and themes. His paintings place an emphasis of the play on light and shadow as seen in nature. 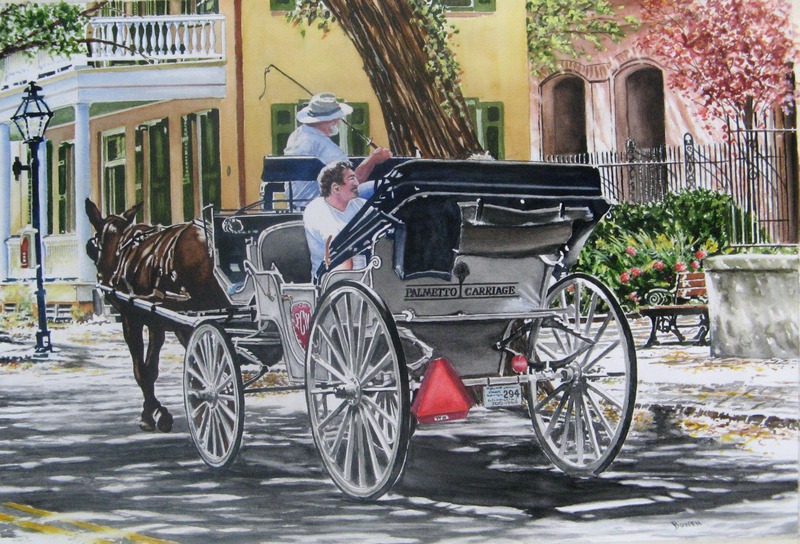 John expresses a moment in history and a sense of place, which is why his paintings are popular in the Vizcaya Museum and Gardens Gift Shop in Miami, FL.! His vision of a scene transports the viewer right there, next to him! John combines both opaque and transparent watercolors on heavy (300 lb.) Arches archival watercolor paper. John’s work is meticulous. He shares his passion and enthusiasm with each brushstroke. 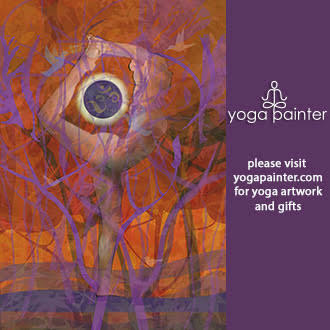 His reproductions are done through the Giclee process, are of the finest quality. 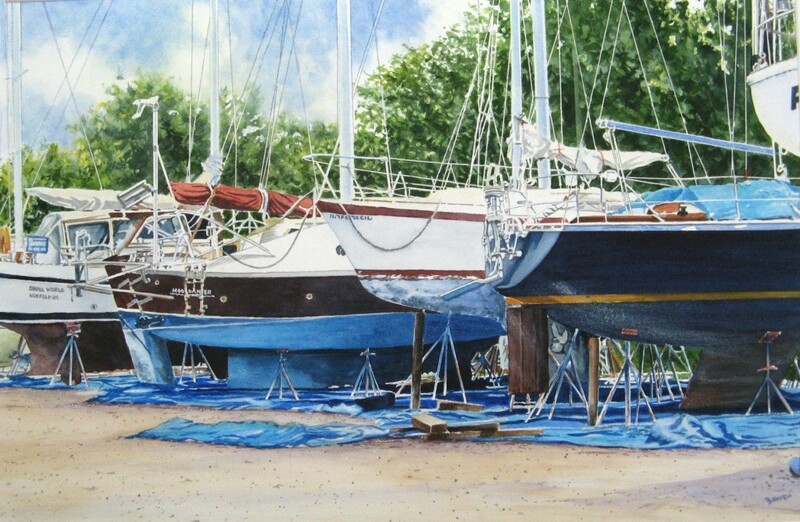 John has been a Commercial Artist and Fine Art Painter for more than 50 years. He first studied commercial art at the Newark School of Fine and Industrial Arts, at Newark, New Jersey. After two years of working in local advertising agencies, he entered the United States Air Force as an illustrator. His duties in the Air Force included a year of graphically documenting airlift operations in South Vietnam, in 1968. 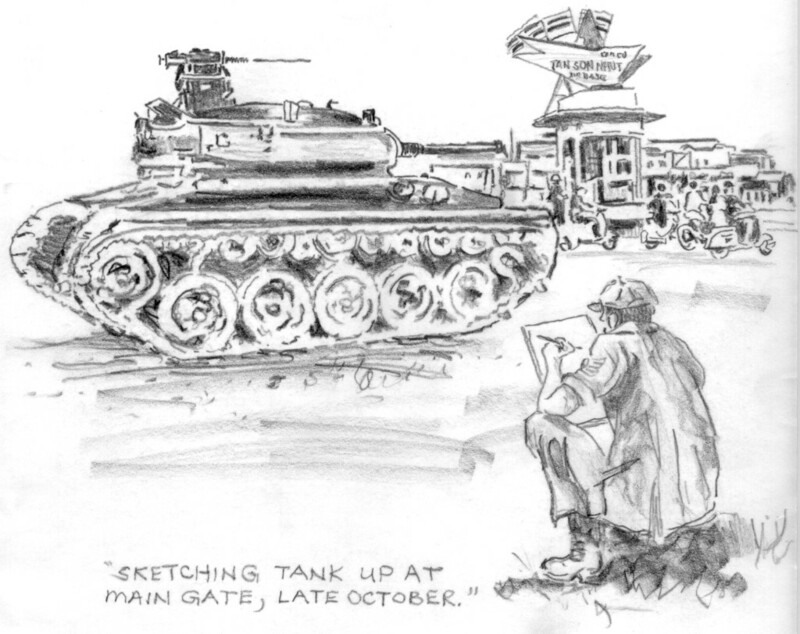 Upon his discharge, John moved to South Florida, working at the Miami Herald’s Art Department. He spent the next 38 years working in newspaper advertising. 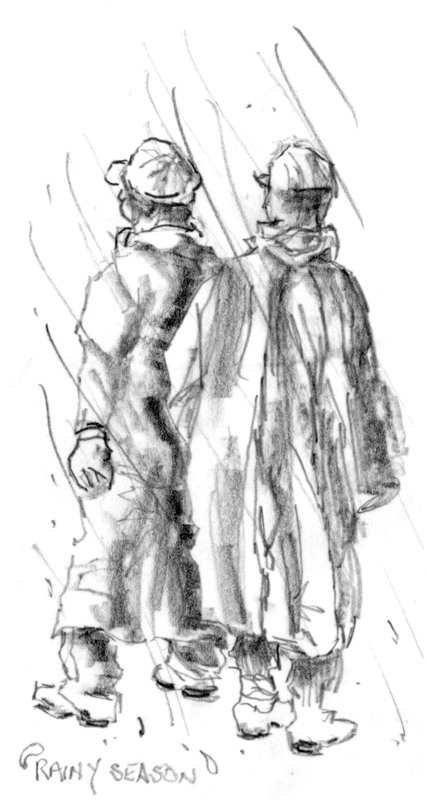 John’s background as an illustrator has made him a “detail” watercolorist. His experience allows him to convey the mood and story of the scene through the use of dramatic lighting and vibrant color. 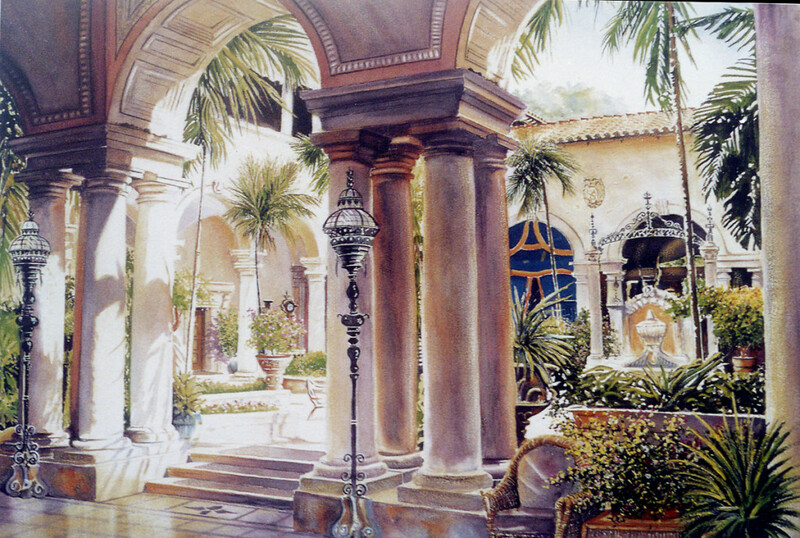 John Bowen has many artistic achievements, which include being an artist for the United States Air Force, a Signature Member of Florida Watercolor Society and Gold Coast Watercolor Society, a published artist in “Watercolor Magic”, American Artist and “International Artist” Magazines, a self-published author of the illustrated book “ Eleven Months and Nineteen Days” and a Resident Artist at Vizcaya Museum and Gardens, Miami Florida. His work has been seen in many exhibition throughout Florida and the country. 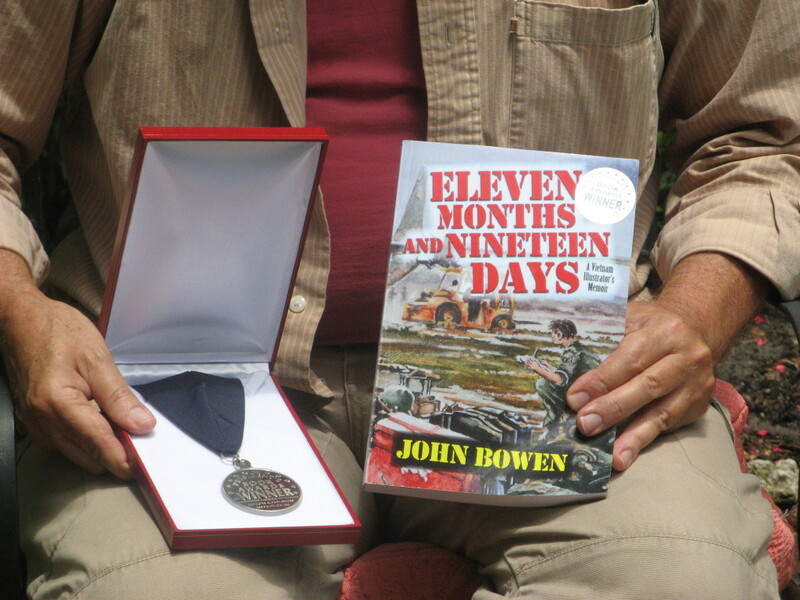 In conjunction with the Vietnam Memorial “Traveling Wall” being in Coral Springs between October 22nd and 26th, John Bowen will give a book presentation on Saturday, October 24th.. The wall will be on display at the Sportsplex, with daily ceremonies honoring Vietnam Veterans. The Sportsplex is located at 2700 Sportsplex Drive (West Sample Road and Sawgrass Expy.). The Wall is a replica of the original memorial in Washington D.C. listing the names of more than 58,000 Americans who gave their lives in service to their country. Residents will have the opportunity leave mementos at the Wall. Items will be sent back to Washington D.C. to The Moving Wall Museum. A Coral Springs resident for almost 25 years, Commissioner Lou Cimaglia served in the Army Reserve for eight years. When he heard about The Moving Wall four years ago, he made it his goal to bring it to his City. The Moving Wall is a great reminder of the loss endured in the Vietnam War. The idea behind it is to bring about healing for veterans, their families and the community. “When I talk to veterans who lost buddies there, the tears flow,” Commissioner Cimaglia said. “The whole purpose of this is to bring the Wall to the people. They say when you go there, it’s an emotional experience.” The Veterans Coalition is sponsoring this initiative and there will be fundraisers throughout the year to raise the $5,000 needed to cover costs. Any additional funds raised will be donated to The Moving Wall and their organization to maintain The Wall.